With Memorial Day, we officially entered the beach vacation season. Of heading to the coast for a week, of mornings spent lounging on the beach, afternoons napping, maybe reading. Eating. And doing the same the next day, the day after, and so on. Certainly not a bad lifestyle, mind you. But perhaps you could toss a little diversity into your beach routine by incorporating something you probably don’t think of doing at the beach: taking a hike. Nothing long, mind you: just a quick outing of a mile or three to mix things up and let yourself know that the coastal environment is more than just sand. Here are five hikes sprinkled amid our favorite summer beach destinations, hikes you can likely drive to in just a few minutes, hikes that won’t take more than an hour and a half at best, hikes that will make you appreciate your beach vacation all the more. And hikes that will burn enough calories to make you feel almost justified in diving into that nightly Calabash seafood platter. There’s a lot of eco-diversity on this hike. Starting from the marina, hike along the Cape Fear River, where the big ships head in and out of Wilmington, past a small beach, then head inland through a longleaf pine savannah. At the midpoint comes the hike’s anomaly, 50-foot-high Sugarloaf Dome, covered with live oak sporting shawls of Spanish moss. Descend and pass through another savannah carpeted with white sand before taking a victory lap around the Flytrap Trail, home to a concentration of carnivorous plants, including the Venus flytrap and pitcher plant. Your kids squawking at the prospect of leaving their video games and the comfort of chilled air to take a — sheesh! — hike? They won’t be once you explain you’ll be visiting an abandoned World War II concrete ordinance bunker where the Fort Fisher Hermit (Robert E. Harrill) lived for 16 years in the mid-1900s. They’ll be so fascinated by the notion of someone living in this dark tomb that they won’t notice when you leave that, instead of heading back to the car, you’re continuing on, to Federal Point and sweeping views of a vast wetland and the Atlantic. Another great lure for recalcitrant children — and adults. 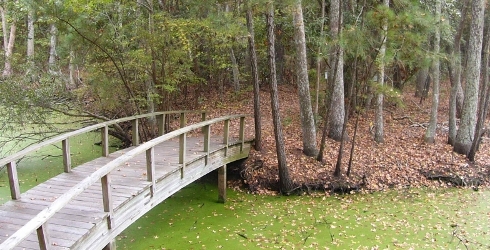 Much of this wetland hike is on the boardwalk, offering access through dense stands of wax myrtle, yaupon, sweetgum, red maple, redbay red cedar, and, up above, long leaf pine and live oak. 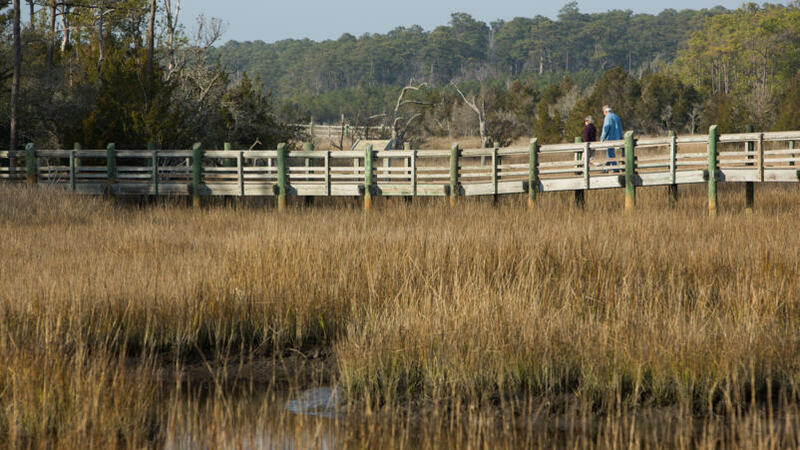 A change of elevation of just a foot creates a coastal forest to the north; brush up against the forest, then continue on boardwalk through tidal marsh where you can watch crabs go about their business below. On the trail’s western swing, catch sight of Swansboro across the ever-widening White Oak River. 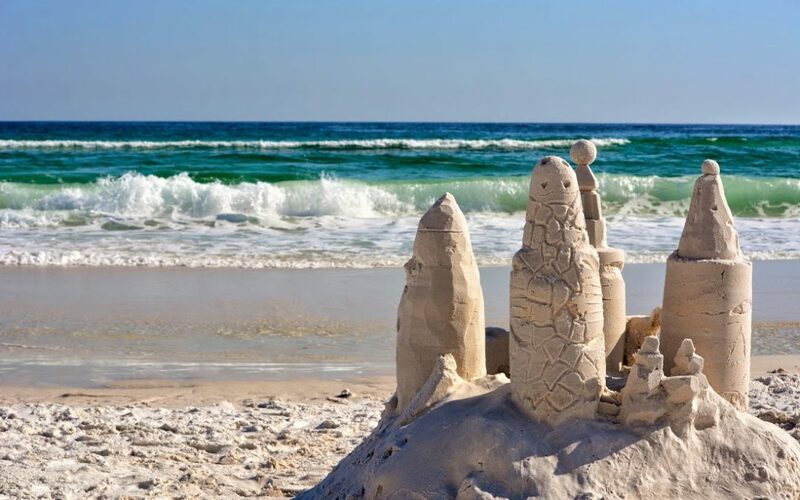 One other thing you should do on a beach vacation: visit one of North Carolina’s coastal aquariums, on Roanoke Island, at Fort Fisher, and here at Pine Knoll Shores. 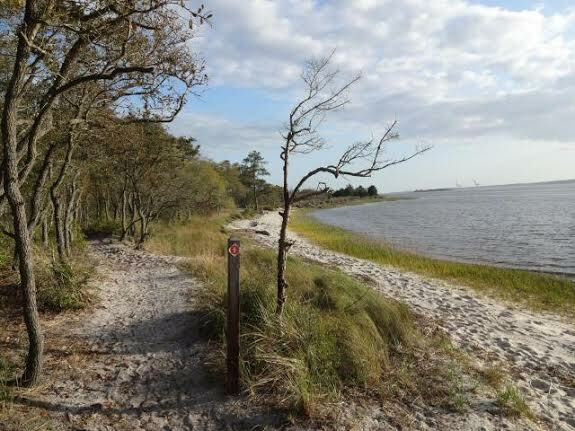 At the latter, after checking out the touch tank, the sharks, the alligators, grab a laminated guide and explore the surrounding 250 acres of mostly maritime forest at Pine Knoll Shores. This forest has been around 14,000 years — not long, as forests go — but it’s little changed and a rare opportunity to explore a coastal ecology that’s all but vanished from along the East Coast. Let’s say you like your beach vacation, but you basically do it for the family. At heart, you’re a mountain-and-hiking type. 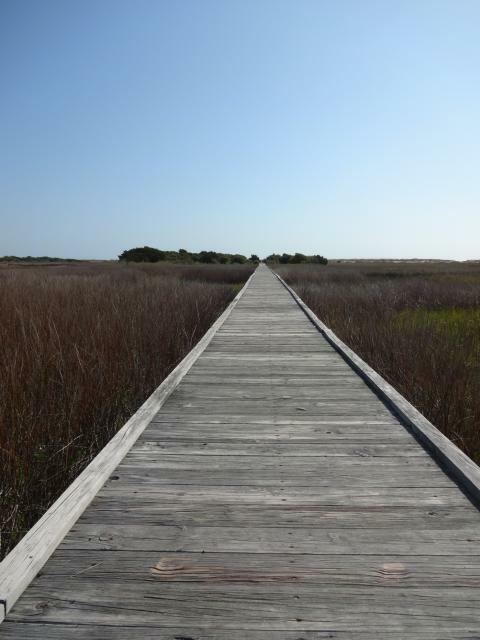 Satisfy your need to hike at this 1,111-acre property owned by The Nature Conservancy near Nags Head. 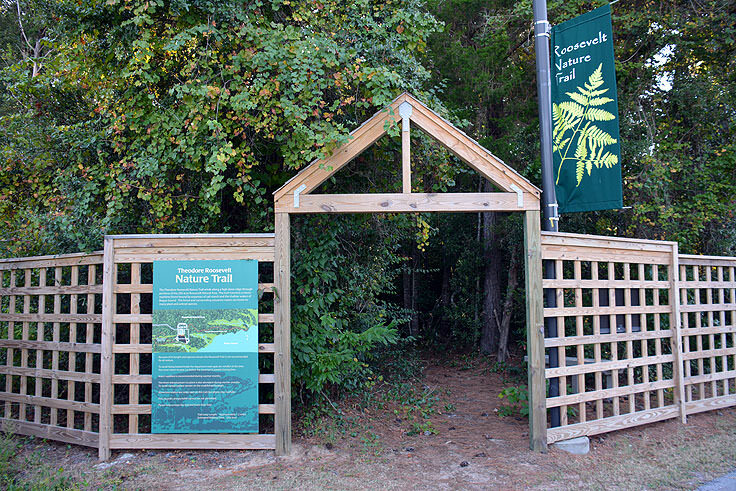 Nags Head Woods features a diversity of plant and animal life peculiar to a barrier island: oaks, hickories and beech trees, some hundreds of years old, form a protective canopy. More than 100 species of birds have been documented, it’s an important nesting area for more than 50 species, including green heron, wood duck, red-shouldered hawk, clapper rail, ruby-throated hummingbird, pileated woodpecker, prothonotary warbler, and summer tanager. There’s more, but you really need to see it for yourself. More info: The Nature Conservancy.